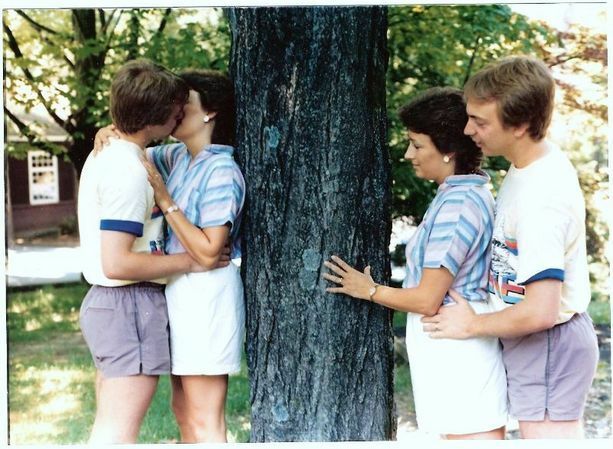 This first one utilizes photoshop to duplicate the couple so that they can spy on themselves from behind a tree. I think maybe if she looked a little happier in this next photo, it would completely change the feel. Also, I can’t tell if they purposefully edited the dress to look like bubble suds or if they got lucky. 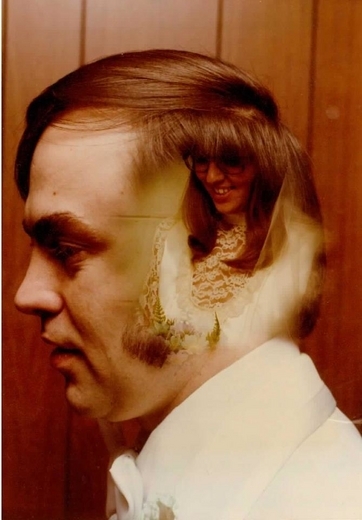 My main question for the previous photos is: How have these people grown from thinking these photos were at all romantic to submitting them to a bad photo site? This next couple got photobombed by a naked painting. Which, compared to the rest of these photos, is not the end of the world. Perspective. 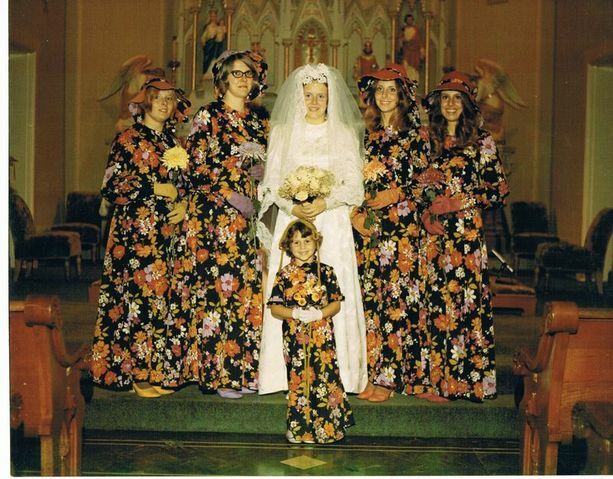 And we’ll end with the following picture, because it is more floral than terrifying. SOOOOOO funny. As always. 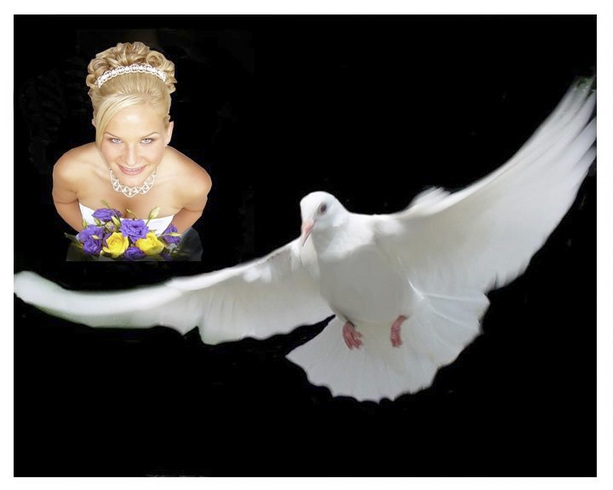 Can’t wait to see the pictures from a really tasteful and elegant wedding. And…WILLIAM IS GETTING MARRIED!!! !